The products are created from natural fibers. These are known for their durability and reliable performance. Moreover, our products include cotton, wool, silk and all other animal and plant fibers. Further, the fabric is used in various application areas such as medicine, aeronautics, home furnishing and modern apparels. We offer qualitative polyester Waddings, which are of soft and stiff finishes and can be provided as per the specific requirement of our customers. These are used for clothing, upholstery such as jackets, quilts, sleeping bags, furnishings etc. 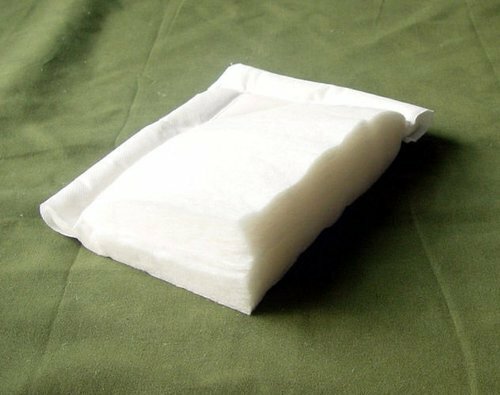 Our range includes- Wadding Polyester (Poly fill) are used as insulators, which are useful in manufacturing Jaipuri quilt and jackets. Polyester Wadding are of chemical bonded & thermal bonded waddings.